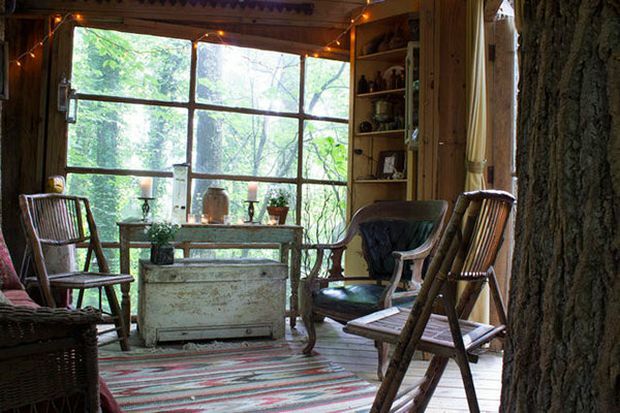 This rustic tree house, seemingly in the middle of nowhere in the wilderness opens up an entirely new wonderland, inviting us in to explore. And believe it or not…. it might be closer than you think! 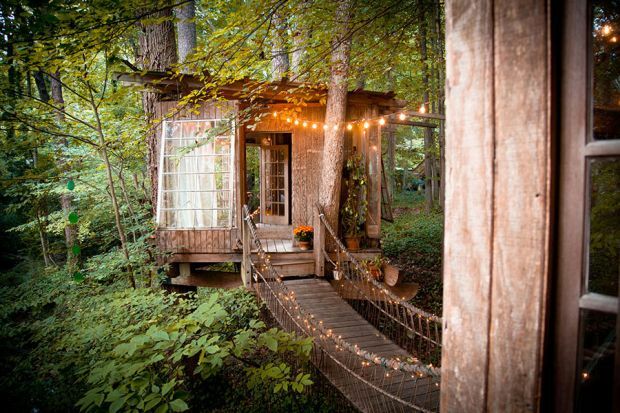 Located in the woods of Atlanta, Georgia, if you live nearby then don’t miss the opportunity to check it out. 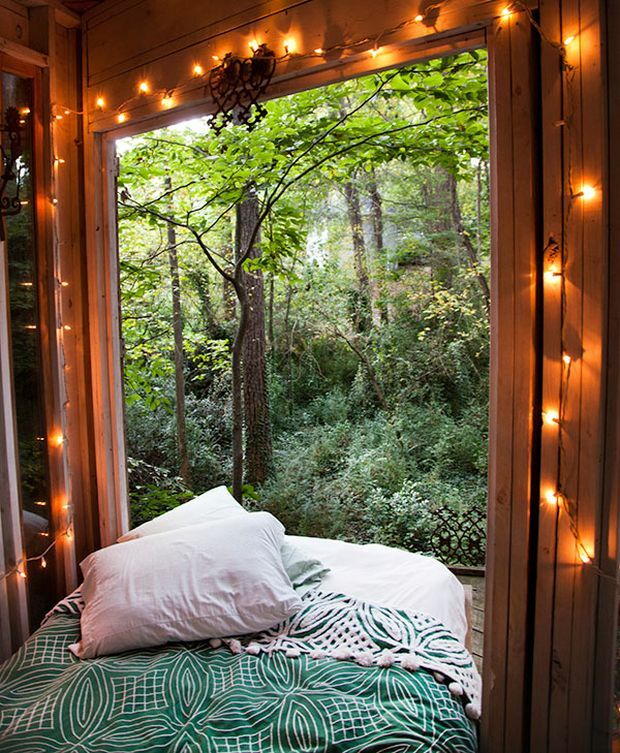 Surrounded by stunning panoramic views of dense greenery, you can rent this space for starting at $275 per night. BE SURE TO CHECK OUT THE VIDEO ON PAGE 4. Centrally located within the heart of intown Atlanta, Peter Bahouth, former Greenpeace executive director and current executive director of the U.S. 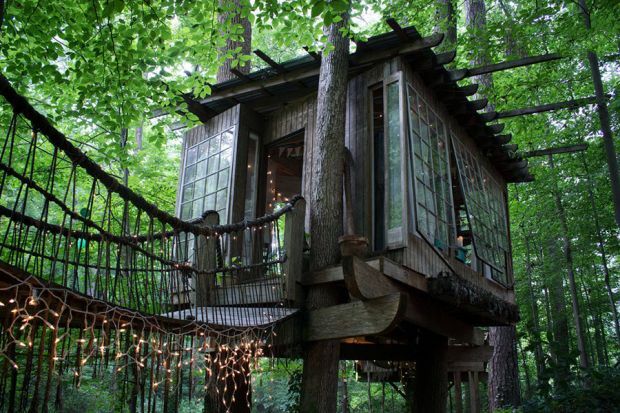 Climate Action Network, built a series of houses in the trees next door to his all-glass modern home. 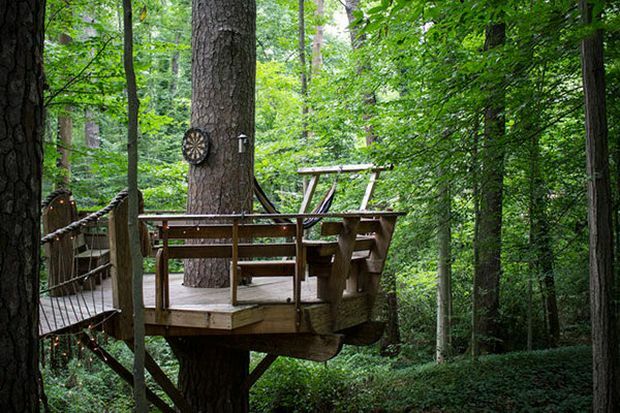 Peter is an environmentalist whose love of nature and memories of boyhood treehouses inspired him to create this grown-up fort in his Atlanta backyard. 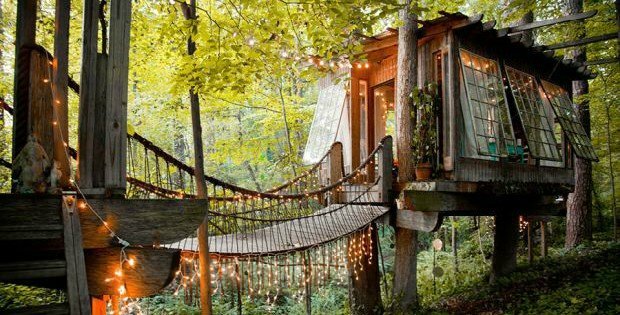 Suspension bridges connect the three components of the treehouse, which include a living room- which has enough seating for 6, a bedroom- which includes a platform bed that slides out for a better view of the tree canopy, and a deck- complete with hammock and enough seating for 10. ….MORE GREAT PHOTOS CONTINUED ON PAGE 2….